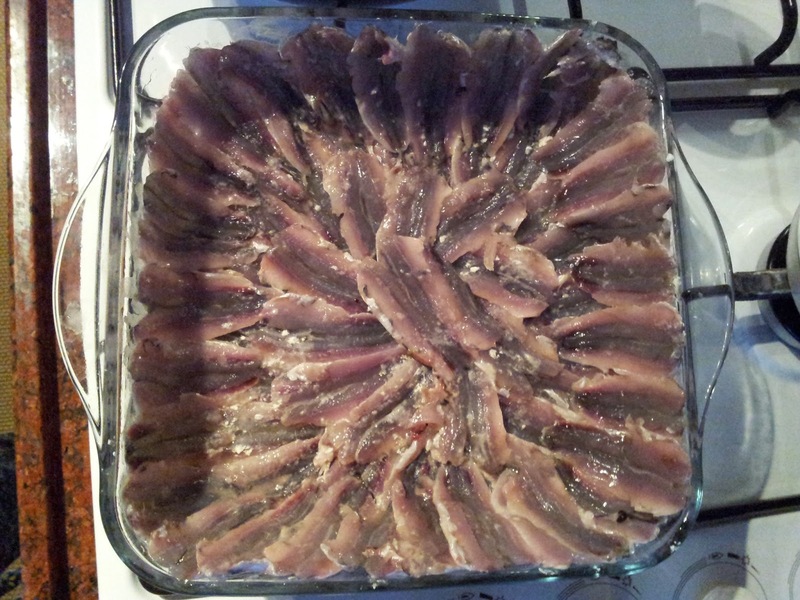 Remove the heads of the anchovies with your fingers. 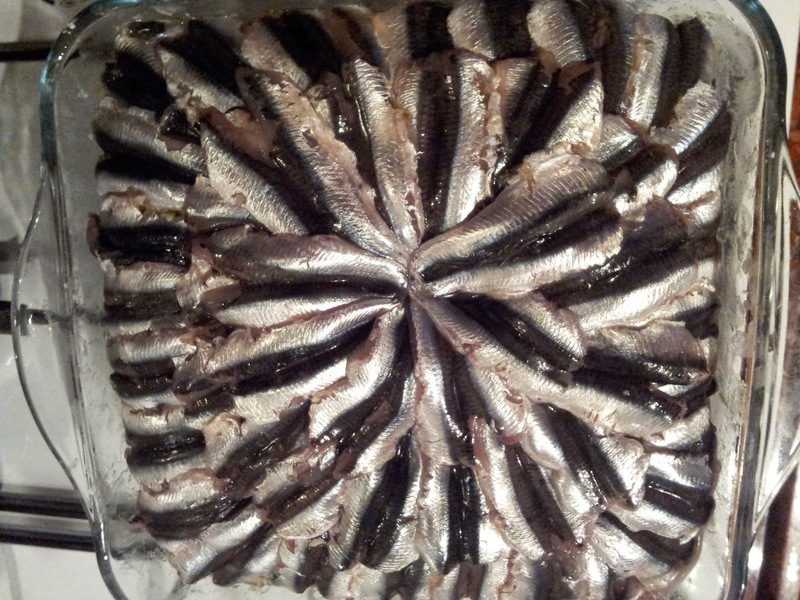 Run your thumb along the backbone of each fish to separate the two halves and remove the backbone. 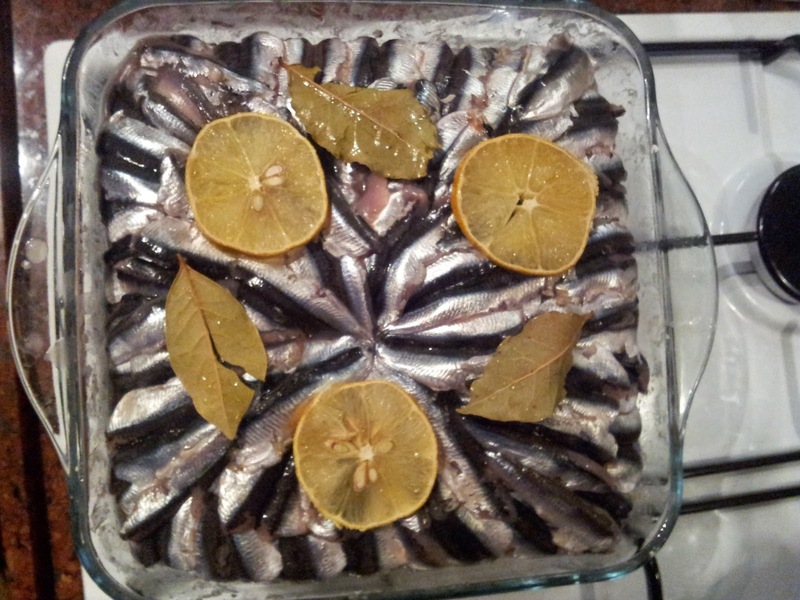 Wash the anchovy halves and drain them. 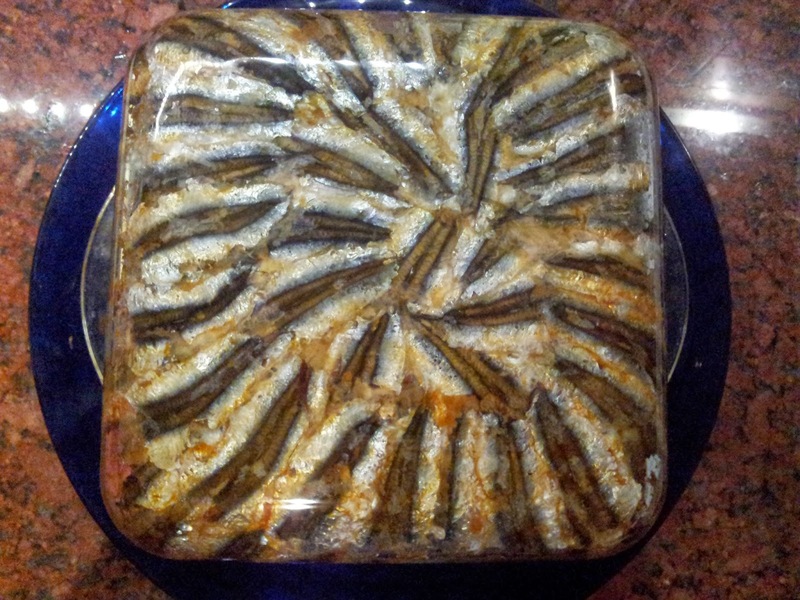 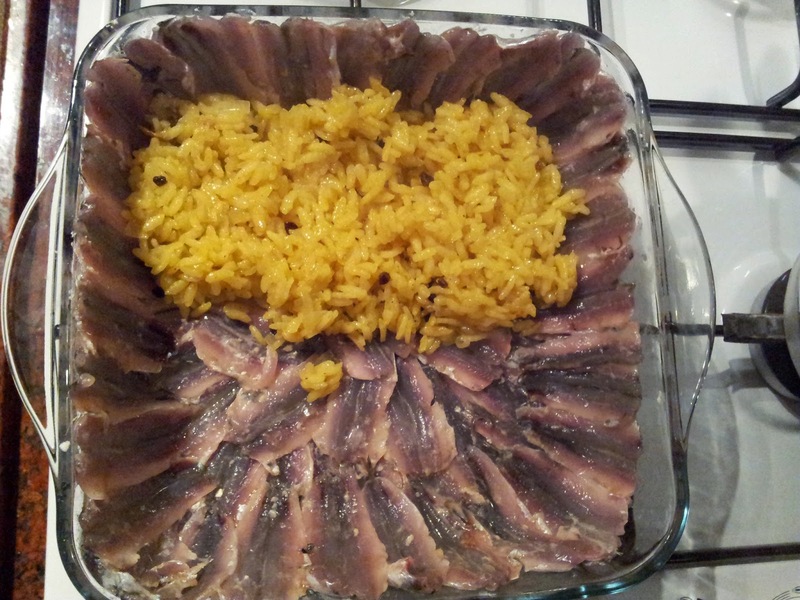 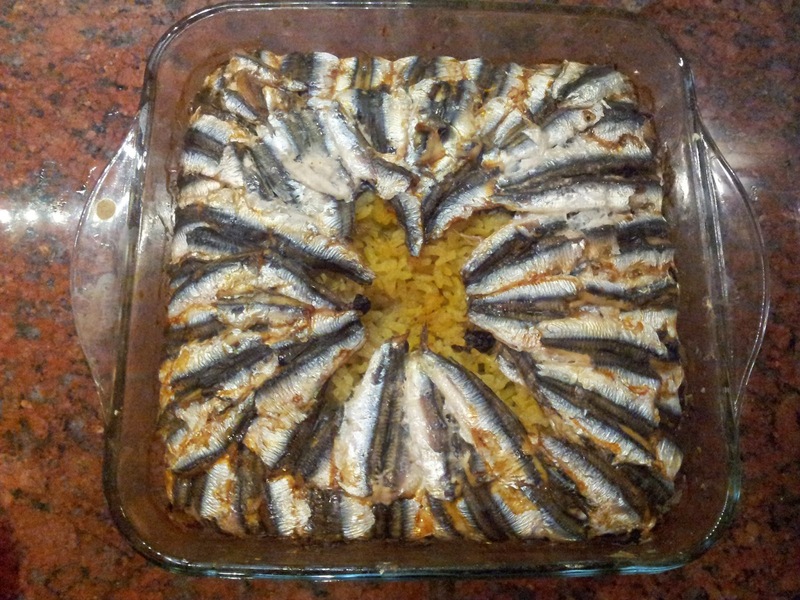 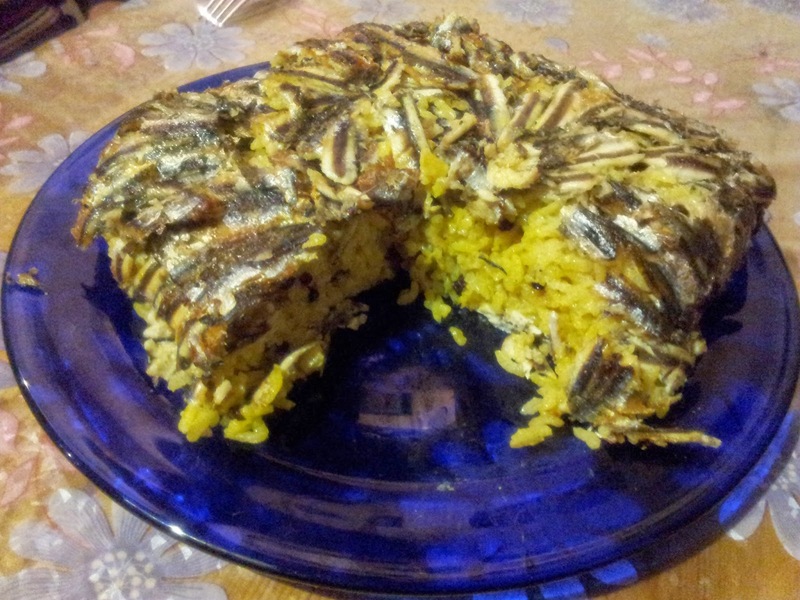 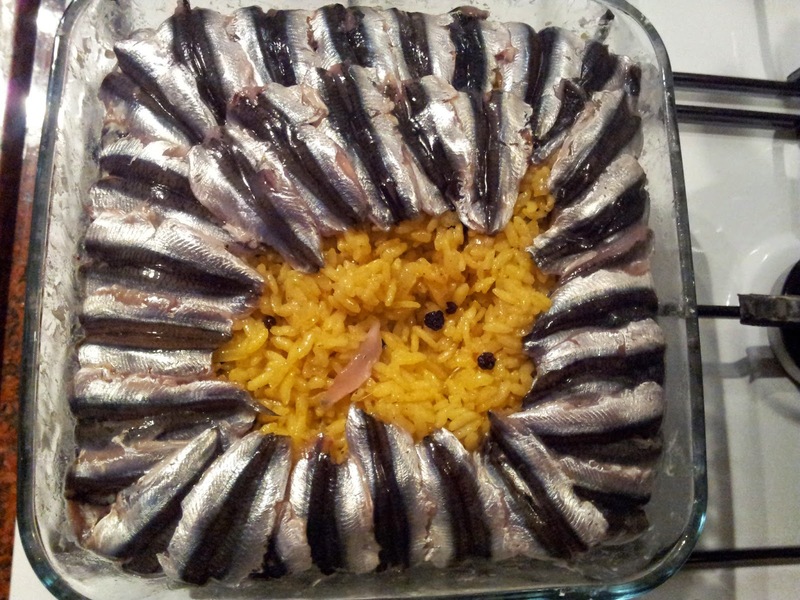 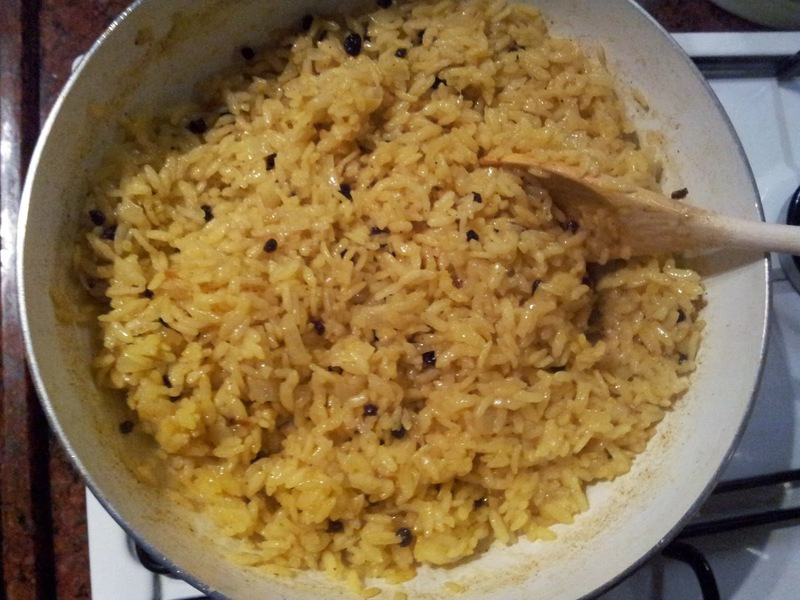 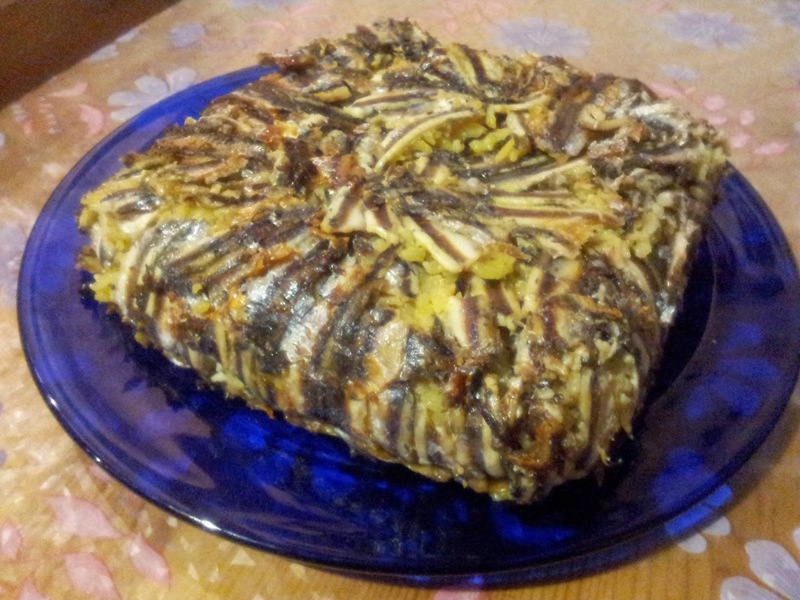 Bake the anchovies and rice in 180 °C oven for about 45 minutes or until the anchovies are cooked and browned. 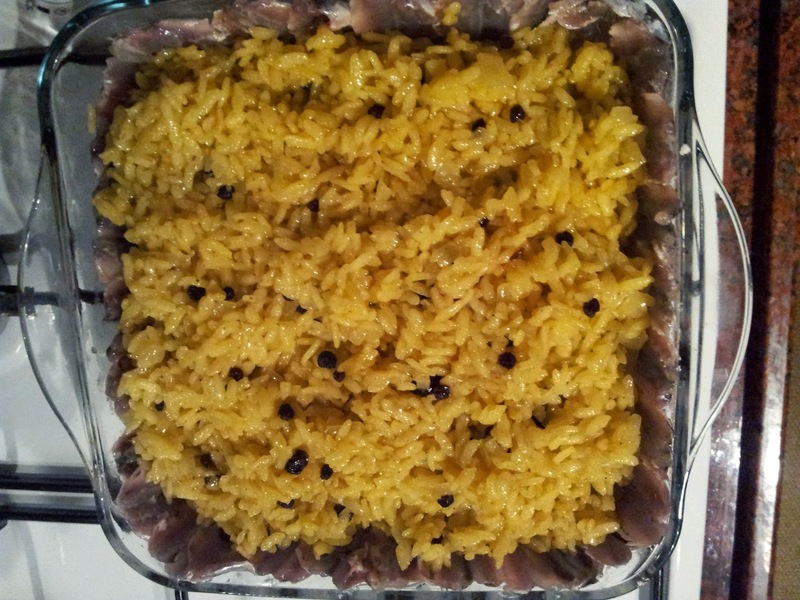 Remove the dish from the oven and let it rest for a few minutes.Turn the baking dish upside down onto your serving plate.